With the stroke of a pen in 2013, the pharmaceutical industry mobilized in order to comply with sweeping changes enacted by the Drug Quality and Security Act. The law includes the Drug Supply Chain Security Act (“DSCSA”), written to increase patient safety by minimizing risk from unauthorized pharmaceutical drug products entering the marketplace. The Food and Drug Administration, charged with enforcing the Act, set deadlines for the industry to comply with this law. The law requires all companies within the pharmaceutical supply chain to develop an electronic system designed to increase patient safety by minimizing drug diversion and reducing counterfeit products. The FDA set an original deadline of November 27, 2017 for companies to be in compliance with the law. Pharmaceutical manufacturers that do not confirm their supply chain is DSCSA-compliant before the deadline risk affecting patient health and may face regulatory penalties. The FDA published a draft guidance document June 30, 2017[i] that delayed the deadline for one year until November 27, 2018. The enforcement delay was expected and is meant to provide adequate time for production and installation of hardware and software to achieve compliance. With the November 27 deadline approaching for the next phase of DSCSA compliance, time has already run out for companies that are not already well underway with their serialization implementation program. 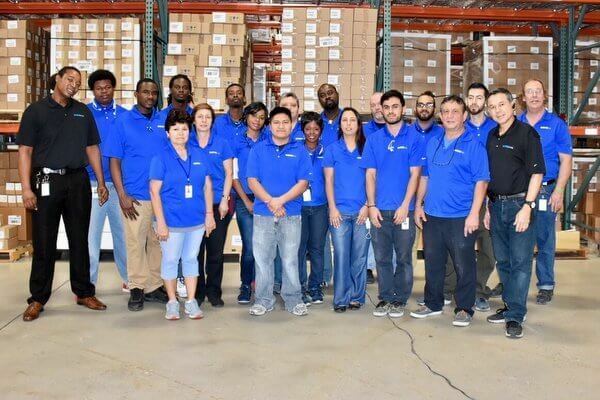 WDSrx – Woodfield Distribution, LLC, a pharmaceutical logistics services provider based in Boca Raton, FL, was an early adapter of comprehensive serialization solutions for their Third Party Logistics operations and their on-site packaging and labeling capabilities. The process involved evaluation of several vendors before WDSrx selected TraceLink Edge Track, TraceLink and Optel Group to assist with the transition to comply with requirements in the Drug Supply Chain Security Act (DSCSA). Compliance of all WDSrx facilities was completed in 2017. “As a logistics services provider that also has active packaging lines, WDSrx is making a considerable financial investment to transition our packaging operations, distribution centers, IT infrastructure, training and Quality Assurance to meet current and future DQSA/DSCSA requirements,” according to WDSrx President Adam Runsdorf. Progress in the implementation of DSCSA regulations is highly variable across the industry. Pharmaceutical manufacturers, distributors, 3PL pharmaceutical providers, re-packagers and dispensers take different approaches to achieve DSCSA compliance. As the conduit between manufacturers and dispensers, pharmaceutical Logistics Services Providers (LSP) face unique implementation challenges requiring fundamental changes to their operations. Quality Assurance and Compliance professionals rely on their logistics providers to place the highest priority on regulatory issues. It is the responsibility of LSPs to share their action plan with clients to achieve full compliance with DSCSA regulations. Serialization and traceability are global issues. Approximately 45 countries are in the process of migrating current operations to more advanced solutions with implementation periods spanning over the coming few years. 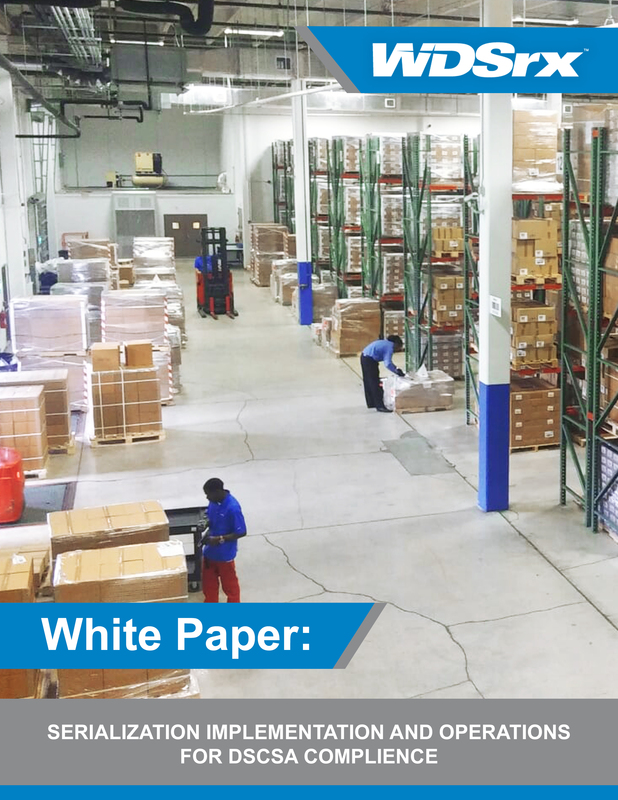 This White Paper details the strategy and solutions implemented by WDSrx for manufacturers to achieve full compliance with DSCSA regulations. The U.S. Centers for Disease Control and Prevention, the Food and Drug Administration and other regulatory agencies began an investigation in September 2012 after an outbreak of meningitis in several States sickened over 800 people and resulted in the deaths of 84 individuals. [ii] The cause was determined to be a Massachusetts compounding pharmacy that was illegally manufacturing pharmaceutical drug products and that knowingly distributed mislabeled, contaminated and unsanitary products over several years. The tragic circumstances prompted action from Congress for new laws to closely track prescription drugs at each point within the pharmaceutical supply chain to reduce the risk from unauthorized products entering the marketplace. The Drug Quality Security Act (DQSA) was signed into law by President Obama on November 27, 2013. Title II of the DQSA, The Drug Supply Chain Security Act (DSCSA)[iii], requires the development of an electronic system to verify the legitimacy of pharmaceutical drug products down to the package level. The program mandates compliance at several stages over a ten-year period until full implementation by 2024. Drug manufacturers, wholesale drug distributors, re-packagers, dispensaries and Third-Party Logistics pharmaceutical providers are all affected by this drive for transparency. The initial process selected to achieve the high level of transparency outlined in the DSCSA within the pharmaceutical supply chain is known as serialization. By November 28, 2018, manufacturers must utilize a standardized method to individually identify the Smallest Salable Unit (SSU) available for purchase by authorized pharmacies or other dispensers. The serialization method involves placing 2-D barcodes and a unique identifier containing product ID, serial number, expiration date and lot number on each SSU. 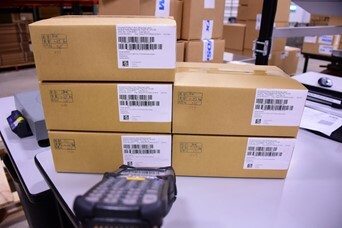 Additional individual barcodes must be placed on standard shipping configurations including cases and pallets. 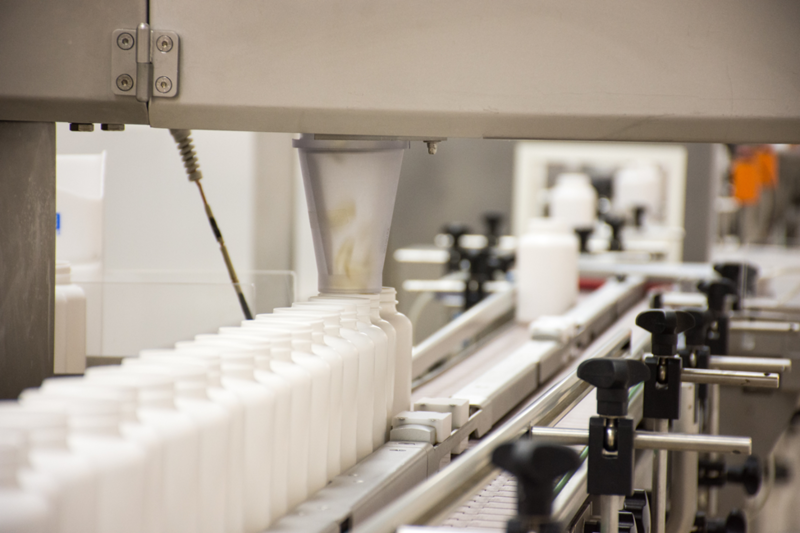 By 2023, the technology, called Track and Trace, will be able to follow each bottle or package in the U.S. and internationally back through the supply chain to the original manufacturer. Although a unique serial number on each item will satisfy the Law by the deadline date, WDSrx recommends clients take a more comprehensive approach for several reasons: current FDA rules are open to interpretation; smaller manufacturers are at a disadvantage compared to global players; and manufacturers with a limited number of products requiring serialization may choose to outsource the entire process more economically compared with the significant capital investment required to achieve compliance themselves. Handheld and desktop scanners at WDSrx are being upgraded to read 2D barcodes required by DSCSA regulations (right-hand scanner and top box pattern) as well as conventional 1D barcodes to accommodate clients that have not yet adopted the new format (left-hand scanner and bottom box line pattern). The Federal Food and Drug Administration (FDA) is responsible for the implementation and monitoring of the Drug Supply Chain Security Act. The FDA examined the components of the Law and separated them into three (3) phases[iv]. Each phase addresses specific issues with specific deadlines for completion. Although the FDA continues to refine requirements, the three (3) phases of DSCSA compliance are the approved guidelines currently followed by the pharmaceutical industry. WDSrx complies with DSCSA requirements adding Transaction Information, Transaction History and Transaction Statement details, called T3 details, to printed packing slips and Advance Ship Notices (ASN) that are transferred electronically. Phase II: Item Serialization — When serialization is implemented, the process of receiving, storing and fulfilling orders will change significantly for 3PL providers. The most significant changes will occur in the technology backbone to enable electronic communications within and between systems to allow for exchange of extensive data captured on new 2D barcodes. As a logistics services provider with contract packaging capabilities, WDSrx completed modifications to fully utilize the new 2D technology in warehousing, fulfillment and packaging and labeling operations. Current 1D barcode technology uses a single code in parallel lines to convey a limited amount of product information. 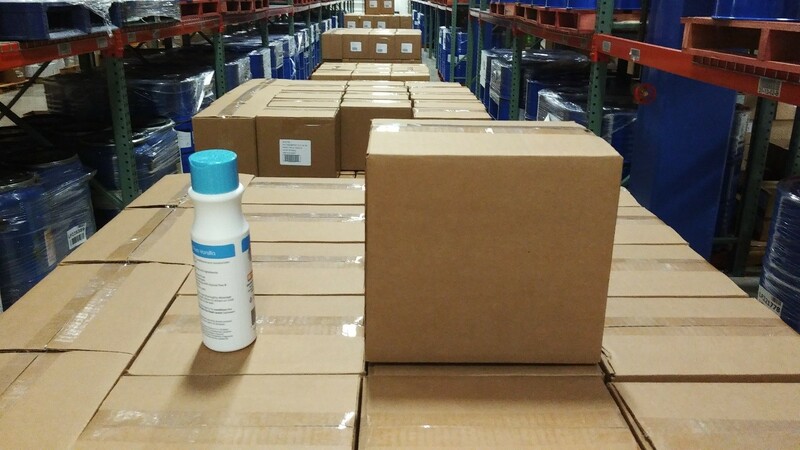 With serialization, each pallet, case and bottle will have their own unique 2D barcodes for improved tracking at every point within the supply chain. Aggregation enables the Unique Product Identifiers on every item and case in a pallet to be uploaded with a single scan. The legal requirement for serialization raises the business necessity for aggregation. Aggregation enables a single scan to capture the unique identifiers on each of the smallest salable units within a large shipment. Aggregation solutions are often undertaken during Phase II with Item Serialization programs. Although not required by law, aggregation is a necessary requirement for shipments moving through all major wholesalers. Aggregation ties each barcode on each case with barcodes on each unit contained within each case. This technology enables faster routing of medications to patients by avoiding the step of visually inspecting contents to confirm shipment accuracy. Phase III: Serialized Item-Level Traceability – By November 2023, the completed serialization program will combine with comprehensive information exchange[vi] to mine, analyze and evaluate data about the movement of pharmaceutical drug products to minimize counterfeit, diversion, manufacturing and supply chain issues. It will be illegal to buy, sell or handle products without product identifiers. Enhanced product tracing at the package level will be implemented[vii]. The FDA is expected to issue details in the future detailing the architecture of the enhanced product tracing system. The requirements of the DSCSA represent the greatest overhaul of the U.S. pharmaceutical supply chain since The Federal Food, Drug and Cosmetic Act of 1938[viii]. The implementation of new and upgraded equipment, enhanced training and development programs and technology systems re-engineering affect the entire pharmaceutical supply chain and will fundamentally change the way companies conduct business[ix]. The requirements and associated deadlines to achieve DSCSA compliance demand a pro-active response from all affected parties to implement the important changes. Logistics services providers must address issues related to their internal procedures while accommodating the various solutions being implemented on either side of the supply chain. On the receiving side of the LSP, pharmaceutical manufacturers require their 3PL partners to adapt to their desired solutions. On the fulfillment side of the LSP, the three largest pharmaceutical wholesalers in the country demand that their trading partners follow their requirements – including aggregation – in order to receive goods. WDSrx long-range strategy for serialization was initiated prior to the passage of the DQSA into law. Our plans include budgeting for the significant financial investment and human resources required to maintain compliance and increase operational efficiency. As a Third Party Logistics (3PL) provider that also has active packaging lines, WDSrx is making a considerable investment in its packaging operations[x], distribution centers, IT infrastructure, training and Quality Assurance to meet current and future DQSA/DSCSA requirements. The WDSrx Information Technology team is responsible for the overall program implementation and integration with the WDSrx Footprint ® Warehouse Management System (WMS) by Datex Corporation. The WDSrx Quality Assurance and Regulatory Affairs Department is deeply involved in training and documentation during this process. Phase I implementation for lot tracing information and electronic Advance Shipping Notices was completed prior to the DSCSA-imposed deadline of January 1, 2015. The Advance Shipping Notice (ASN) form and packing slip generated with each shipment were modified to achieve this purpose[xi]. Information was added to include expanded product details and clearly identify all parties involved in the transaction. A disclaimer was also added to confirm the product was acquired legally and in compliance with DSCSA regulations. The DSCSA-compliant ASN was also converted into digital format to be sent electronically. Printers on the packaging lines must be upgraded to imprint a unique 2D barcode on each bottle revealing a National Drug Code (NDC), a GS1-standard Global Trade Item Number (GTIN), an individual Serial Number, Lot Number and Expiration Date. Scanners on the line must be upgraded to read the new 2D barcode format. By 3Q 2017, WDSrx will fully implement Phase II serialization with aggregation solutions in all warehouse facilities. The packaging lines will be serializing 100% of their packaging output by this deadline. Phase III guidelines concerning the accessibility of accumulated data to trading partners have not yet been fully defined by the FDA. New information will be issued prior to the 2023 deadline. Although the DSCSA requirements will further protect the pharmaceutical supply chain from diversion and counterfeit products, the patient will probably not notice any difference in the way prescription drugs are delivered. The minimal effect to patients contrasts with the significant resources being invested to achieve objectives and maintain compliance prior to deadlines. The WDSrx solutions strategy currently being implemented involves five (5) levels of technology provided by multiple vendors integrating with our current Datex Warehouse Management System (WMS). The most effective and comprehensive serialization solutions connect the shop floor and plant levels with the enterprise level. Level 0 involves the installation of new software on handheld devices in the shipping and distribution operations. This project is being implemented by TraceLink Edge Systems and by Optel Group. Hardware including printers, desktop device readers, cameras and scanners are upgraded or replaced on individual lines in the Packaging and Labeling operations on Level 1. The software programs required to control data, serial number management and aggregation on separate production lines for Level 1 devices are the objective of Level 2 services provided by Optel Group. Level 3 involves installation of software governing all production lines in the packaging operations. Optel Group will build on their Level 2 program by enabling Level 3 capabilities. At Level 4, further software development is implemented incorporating the international GS1 standard including EPCIS (Electronic Product Code Information Service). This programming controls connectivity throughout the entire company by interfacing with the Warehouse Management System built on the Datex FootPrint platform. 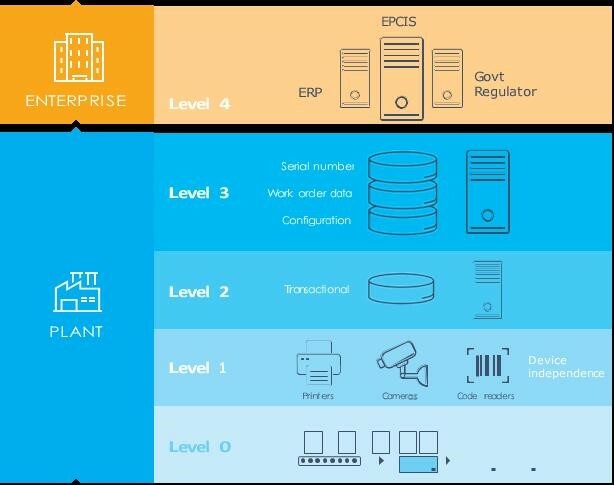 At Level 4, systems are activated to integrate equipment and information technology assets with product tracing, verification and end-to-end serialization, also known as enterprise compliance. WDSrx is in compliance with current DSCSA requirements with plans for early completion of future requirements prior to published deadlines. Manufacturers must ensure all trading partners are in compliance with DSCSA guidelines or risk penalties. Forward-thinking supply chain executives must consider that packaging and labeling vendors promising item serialization compliant facilities by the FDA-imposed deadline may be delayed. Searching for alternative solutions from firms promising compliance in advance of the deadline date are in the best interest of manufacturers to maintain supply chain integrity and uninterrupted distribution. A recent study by the Healthcare Distribution Alliance, an industry trade group, revealed[xii] that 51% of pharmaceutical manufacturers expected to have 100% of their products serialized by November, 2018. The substantial gap between current readiness and full compliance is compelling manufacturers to seek options to continue full operations post-deadline. With complete serialization capabilities installed in our facilities, WDSrx offers manufacturers at any stage of compliance three types of serialization programs that provide the correct solution to fit their needs and maintain operations. Manufacturers with a limited number of products requiring DSCSA compliance may choose to outsource the entire serialization process to WDSrx because the financial investment to meet compliance is too great. For companies with no serialization plans, WDSrx undertakes the responsibility to convert their inventory into DSCSA-compliant products. The process involves WDSrx setting up a Level 4 repository on the client’s behalf. The repository acts as the nerve center to achieve serialization compliance. It gathers serial number generation requests from packaging lines and produces DSCSA-compliant serial numbers and related data. The repository also handles exchange and transmission of serialized data aggregation, commission and shipping events between packaging and distribution systems and manages communication between upstream and downstream parties to verify transactions, check for saleable returns and recognize suspect products to minimize diversion and counterfeiting. Client products are then packaged and labeled with DSCSA-compliant barcodes on each unit, package and pallet. From the packaging line, products are moved to the on-site warehouse for storage as required where orders are fulfilled to downstream recipients. When products with DSCSA-compliant serial numbers are shipped to WDSrx, the serialization services team establishes a Level 4 repository on behalf of the client. The CMO that created the serial numbers transmits the information to the client repository. At that point, each serial number can be aggregated and shipping events and transactions may be exchanged to upstream and downstream partners. Manufacturers auditing their contract manufacturers to determine their serialization readiness are able to ship product from ‘at-risk’ facilities directly to WDSrx for compliant packaging, labeling, warehousing and fulfillment. The upgrades to hardware and software implemented for DSCSA compliance affect the procedures carried out by warehouse personnel. WDSrx operations continue to handle non-serialized products while also managing new serialized products with their enhanced track and trace requirements. Training and documentation are updated regularly according to cGMP guidelines to address changes to procedures in warehousing, fulfillment, packaging and labeling operations brought about by new technology and reporting. To achieve pre-serialization efficiency levels in a post-serialization environment, WDSrx leads the industry with a pro-active approach to addressing serialization impact. By leveraging data and analytics, the company is developing fresh insights for new best practices that increase efficiency and reduce cost for partners and clients. WDSrx Packaging and Labeling solutions include printing 2D barcodes with GS1-standard data to meet DSCSA serialization regulations. If required, WDSrx 3PL services receive, store and fulfill orders to dispensers at client request. 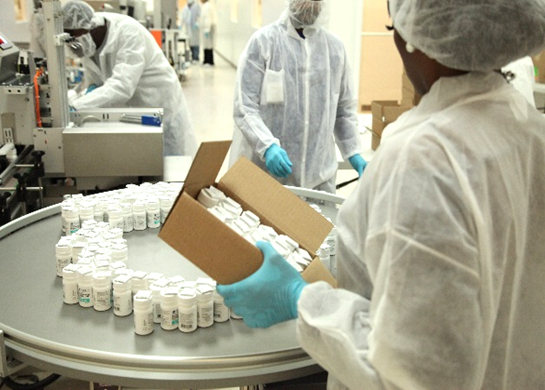 Pharmaceutical Logistics Services Providers operate at a critical point between manufacturers and dispensers within the pharmaceutical supply chain. The movement of these critically important products depends on comprehensive regulations created and administered by government and other regulatory authorities. The Drug Supply Chain Security Act is the catalyst for sweeping changes throughout the industry. WDSrx takes a pro-active and strategic approach to assure compliance with DSCSA requirements including regular upgrades to equipment, training and information technology infrastructure. WDSrx – Woodfield Distribution, LLC provides integrated pharmaceutical third-party logistics services and value-added solutions empowering the Life Sciences industry. Supply chain operations include Warehousing, Storage, Fulfillment, Transportation Management, Temperature Regulated Environments, Reverse Logistics and Regulatory Compliant Product Disposition. Value-added solutions include on-site Packaging and Labeling, Clinical Trial Support and Kitting, Customer Service, Patient Assistance Programs, E-Commerce Solutions and Financial Services Management. State licensed nationally, WDSrx operates from secure facilities in Boca Raton, Florida and Sugar Land, Texas. Operations are licensed to meet cGMP, FDA, DEA, EPA, DOT, VAWD and Federal, State and Regulatory Agency requirements for handling of Over-The-Counter, Prescription and Controlled Substance (CII-CV) pharmaceutical products. TraceLink works with life sciences supply chain companies to protect patients and save lives, transforming the way that the industry does business with innovative track and trace solutions. TraceLink is dedicated to helping our customers – from 16 of the top 20 global pharmaceutical companies to corner pharmacies – enable the global distribution of safe drugs and achieve compliance in the most cost effective way. For further information contact Larry Hotz, (561) 998-3885 x 304 or lhotz@wdsrx.com. Learn more about WDSrx at www.wdsrx.com and www.twitter.com/WDSrx. [i] Rodgers, Dirk. “FDA Delays Enforcement of DSCSA November Deadline: What It Means – RxTrace.” RxTrace. RxTrace, 02 July 2017. Web. 03 July 2017. <https://www.rxtrace.com/2017/07/fda-delays-enforcement-dscsa-november-deadline-means.html/>. [ii] Bidgood, Jess, and Sabrina Tavernise. “Pharmacy Executives Face Murder Charges in Meningitis Deaths.” The New York Times. The New York Times, 17 Dec. 2014. Web. 29 June 2017. <http://www.nytimes.com/2014/12/18/us/new-england-compounding-center-steroid-meningitis-arrests.html>. [iii] “Drug Supply Chain Security Act (DSCSA).” U S Food and Drug Administration Home Page. N.p., n.d. Web. 29 June 2017. <http://www.fda.gov/Drugs/DrugSafety/DrugIntegrityandSupplyChainSecurity/DrugSupplyChainSecurityAct/>. [iv] Daleiden, Brian. “Protecting Patient Safety and the Drug Supply Chain Security Act (DSCSA).” Becker’s Hospital Review. N.p., n.d. Web. 29 June 2017. <http://www.beckershospitalreview.com/quality/protecting-patient-safety-and-the-drug-supply-chain-security-act-dscsa.html>. [v] Agency, Drug Enforcement. “DSCSA Updates and Readiness Check: Requirements for Dispensers and Other Trading Partners.” DSCSA Updates and Readiness Check: Requirements for Dispensers and Other Trading Partners (n.d.): n. pag. FDA.gov. Web. <https://www.fda.gov/downloads/Drugs/DevelopmentApprovalProcess/SmallBusinessAssistance/UCM453236.pdf>. [vi] Shanley, Agnes. “Waking up to Track-and-Trace Benefits.” Pardon Our Interruption. Pharmaceutical Technology, 2 May 2016. Web. 29 June 2017. <http://www.pharmtech.com/waking-track-and-trace-benefits>. [vii] Agency, Drug Enforcement. “DSCSA Updates and Readiness Check: Requirements for Dispensers and Other Trading Partners.” DSCSA Updates and Readiness Check: Requirements for Dispensers and Other Trading Partners (n.d.): n. pag. FDA.gov. Web. <https://www.fda.gov/downloads/Drugs/DevelopmentApprovalProcess/SmallBusinessAssistance/UCM453236.pdf>. [viii] Drug, Food And, Administration. “A History of the FDA and Drug Regulation in the United States.” A History of the FDA and Drug Regulation in the United States (n.d.): n. pag. Web. <https://www.fda.gov/downloads/Drugs/ResourcesForYou/Consumers/BuyingUsingMedicineSafely/UnderstandingOver-the-CounterMedicines/ucm093550.pdf>. [ix] Daleiden, Brian. “Prepare Now for DSCSA Serialization.” Pharma Manufacturing. Pharmaceutical Manufacturing, 30 June 2015. Web. 29 June 2017. <http://www.pharmamanufacturing.com/articles/2015/prepare-now-for-dscsa-serialization/?show=all>. [x] “3PL Pharmaceutical Packaging and Labeling.” YouTube. YouTube, 05 May 2016. Web. 29 June 2017. <https://www.youtube.com/watch?v=4ShVXPbI9Mw>. [xi] WDSrx. “Packing Slip.jpg.” Microsoft OneDrive – Access Files Anywhere. Create Docs with Free Office Online. WDSrx, n.d. Web. 29 June 2017. <https://onedrive.live.com/redir?resid=AF344CFB970532D5%214689&authkey=%21APPtg8JaaGeDPmM&v=3&ithint=photo%2Cjpg>. [xii] Basta, Nicholas. “Traceability Readiness Survey: One Third of Pharma Suppliers Will Not Be Ready by November 2017.” Pharmaceutical Commerce. Pharmaceutical Commerce, 11 Nov. 2016. Web. 29 June 2017. <http://pharmaceuticalcommerce.com/information-technology/traceability-readiness-survey-one-third-pharma-suppliers-will-not-ready-november-2017/>.